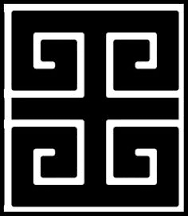 My Coign of Vantage is a personal blog. Here things are a bit syncretic. You will find my random musings about my daily life and personal events. Posts about Industry news relevant to Spa, Wellness and “Cosmetology” can be found, alongside posts on Religion, Spirituality and Philosophy. My Coign of Vantage. My corner. My worldview. The something without which other things do not make sense. The piece that holds other pieces in place. I once had someone read my blog and then disparage it for being misspelled. Just for the record, it is spelled correctly and is taken from this painting by Sir Lawrence Alma Tadema. 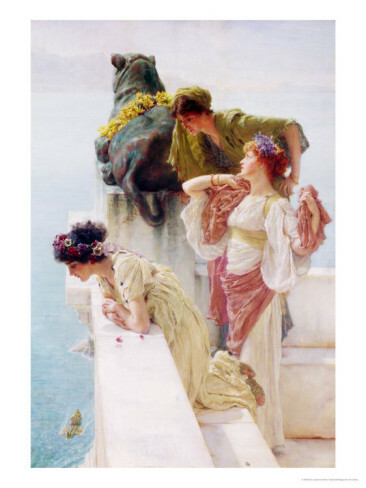 In this painting by Alma Tadema, three women languidly look over a scene below them. They have a vantage point from which to see what is going on below. Their relaxed postures and their position on such a overlook suggest that they are endowed with a sort of privilege. What is unsaid is that this privilege comes with a responsibility to report what they see. To discuss it amongst themselves as they go about the business of living and to live with the implications of unimpeded vision, signified by the giant stone lion that sits enthroned with its back to them in a protective gesture that implies vigilance. My professional website is Borderlands of Health and Wellness. In brief, I am a graduate of The Atlanta School of Massage and hold dual certifications in Integrative Deep Tissue and Neuromuscular Therapy. I have also been a member of the NCBTMB since 1999. I am currently pursuing a paralegal associates degree in Nashville beginning on Monday October 16th, 2016. I have extensive and proficient experience as a Massage and Spa Therapist with Destination and Resort Spas and have also assisted the start-up of a Professional Massage Therapy program at the community college level. On Borderlands of Health and Wellness, you will find my Professional platform. Thank You – I will be gald to share the love with other bloggers! You and I share many common viewpoints—I’m a historian and a reiki master, so I totally get what you’re saying here. Looking forward to reading your blog! I just finished saying to my peeps on Facebook that I had gone over to the dark side because I made a comment on Linked In about Reiki and the American Holistic Nurses Association not being willing to make room for those MT’s who practice it, and I disparaged it in the process by making it sound like a placebo therapy. And here you are! Lol! The Universe has a sense of humor. Thank you for your good vibes Reiki friend! I hope to write words of wisdom and wit that keep people happy, healthy and motivated to engge with life on all levels. The Universe does work in strange ways. I don’t understand why an organization wouldn’t welcome MTs who practice reiki, that doesn’t make a lot of sense to me. It’s all under the healing umbrella, why can’t we all get along? Thanks for visiting my blog, yours is beautiful, will follow.